Join me in my kitchen for a culinary adventure with vibrant Africa inspired cooking with seasonal produce. A cookery class and supperclub for a splendid Staurday night! 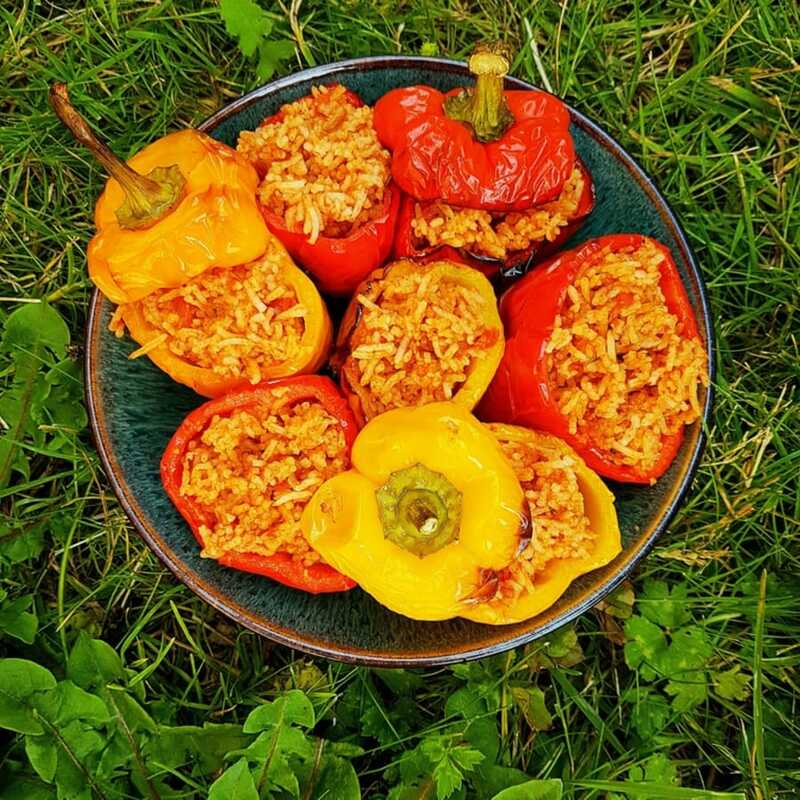 Love African food, longing to discover new and exciting flavours, or just need help with your jollof rice or groundnut stew? Join me in my kitchen for a culinary adventure as I share my secrets to cooking vibrant and sumptuous feasts with seasonal produce inspired by cuisine from Africa and beyond that you can easily recreate at home. This class is plant-based and open to all. 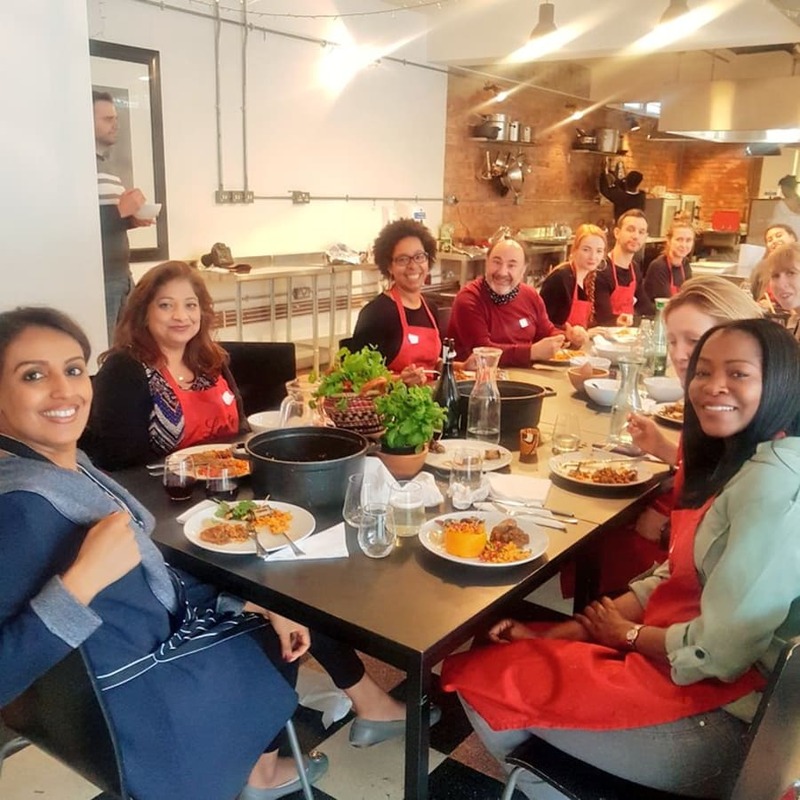 Our cookery session will start with cocktails as you get to know your fellow cooks, followed by an introduction to African cooking, the regional inspirations for recipes on the menu, spices and unique African produce. I will share my secrets to some of your favourites at my supper clubs such as the much-loved suya aubergines with nomadic suya spice mix, non sticky and well seasoned jollof rice or quinoa you can be proud of and more. See the full menu below. 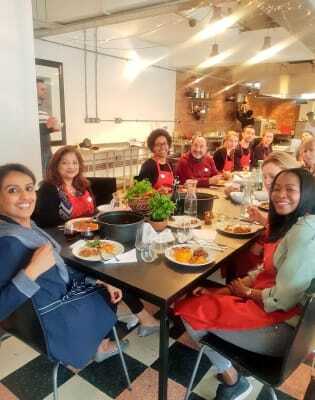 My cookery class is very hands-on, as we peel, chop and cook together. After cooking, you will sit to enjoy your meal. Aubergine & Pepper Rolls with peanut-based suya spice blend. Make your very own suya platter with nomadic peanut-based spice mix blended by you and served with fresh vegetables. Learn to cook a modern version of this rich traditional West African dish with healthy quinoa. An indulgent and rustic stew with groundnuts, mushrooms and seasonal vegetables. African foods have influenced the culinary world in many ways, from the use of grains of paradise known as the black pepper of kings and now used in gin production, to Akara - bean fritters of the Yoruba tribe in Nigeria and much loved in Brazil, to okra used in recipes in New Orleans and beyond. Lerato is known for her vibrant and contemporary African flavours using the best of the season. She is a food writer, TV chef and journalist living in Sussex. At her supper clubs and cookery lessons in London and Sussex, she shares her modern recipes celebrating provenance and wonderful seasonal foods by marrying African and western cultures. 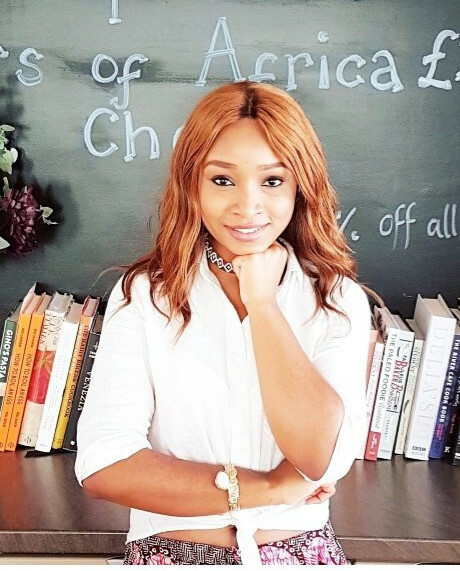 She shares her passion in her food column in The Guardian in Nigeria, at food events and as a guest on the BBC and more.